Rebecca and her grandson, CSF Scholar Gabriel. “I wanted to give Gabriel a chance,” said Rebecca, his grandmother, when asked why she applied for a CSF scholarship. Now in fourth grade, this is Gabriel’s second year as a CSF Scholar at Newport Montessori School, and he’s finally catching up to his peers. 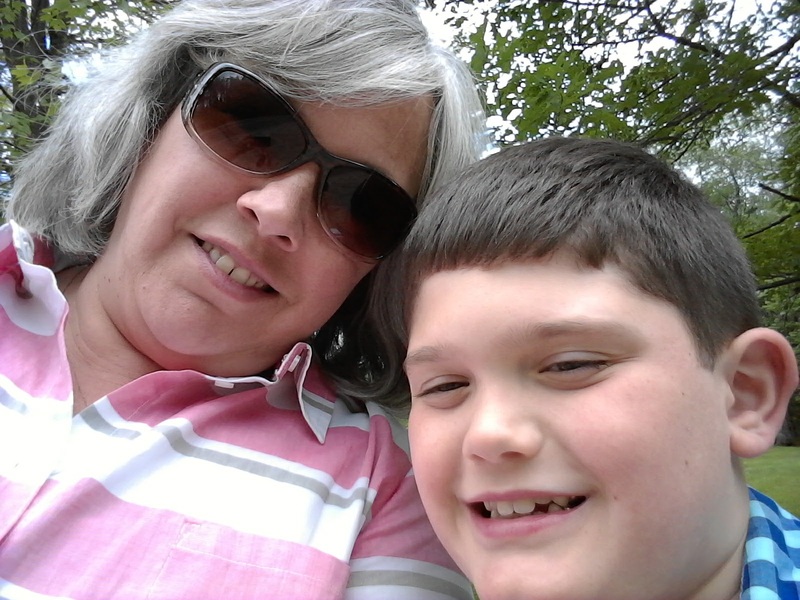 Gabriel was diagnosed with autism from an early age, causing learning disability and anxiety. With autism, Gabriel not only struggled to learn at school but felt left out socially at a school which didn’t foster an inclusive environment and lacked the resources to provide the one-on-one attention he needed. In a rural part of New Hampshire hit hard by the opioid crisis, Gabriel is not alone in having special educational needs. “An overwhelming amount of kids in this area have high anxiety and stress,” she said, adding, “These kids come from low-income households with parents who are not educated, and there are a lot of drug problems.” These issues result in higher rates of autism, anxiety, behavioral and mental disorders, and special needs. When asked what she and Gabriel like about the school, Rebecca has a long list, including the fact that Newport Montessori allows outside therapists to work in the school, and staff and students are trained to accept people who act or learn in different ways. The school’s flexibility and small class sizes, along with the holistic education focused on reducing anxiety and restlessness through extended playtime, have led to huge differences in Gabriel. “He used to say ‘I can’t,’ now he says, ‘I can do this.’ His math skills and speech are improving. He actually wants to go to school every day, which he never wanted to do before,” Rebecca said. And it’s not just academics but the community that Newport Montessori fosters that helps Gabriel. This is the first time he has made a lot of friends, trying his hand at activities such as robotics, and gaining confidence and a sense of independence.